Darn groundhog! Snow is predicted here for the next three days, along with some "wintry mix", so thanks for sharing your beautiful spring spinning! This snow is just nuts! Steve is in panic mode about driving to the Northside for work in the morning. On a bright note, I have almost one completed Trap A Zoid sock! What a fun pattern! 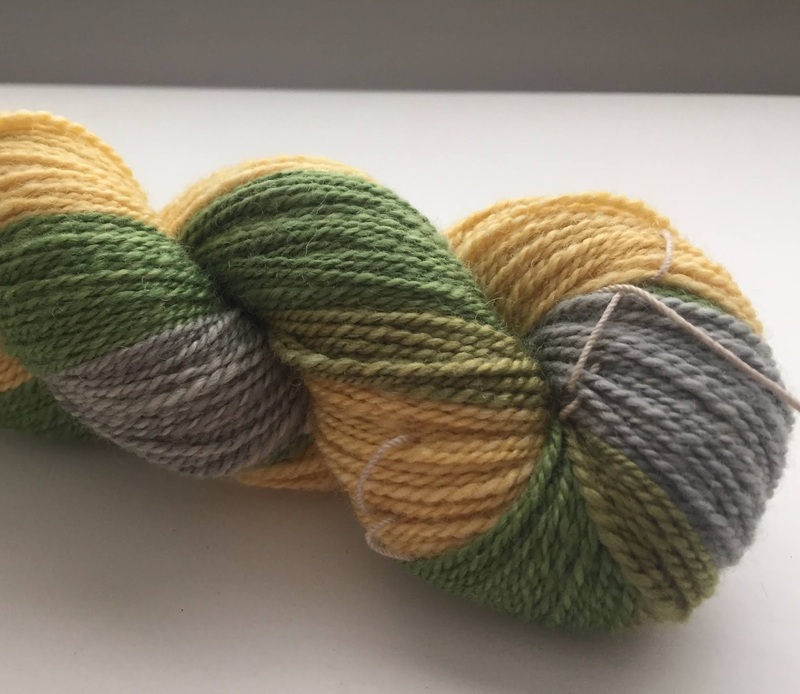 Those are the perfect little skeins! And here in the south folks already have daffodils blooming in their yards. No snow here, only cold rain. Wouldn’t mind a little snow every now and then but it usually ends up being ice. intrigued about the colors - and the spinning (nothing new)!